Sometimes, shots are matched with other shots based on their lighting or colour, or whether objects appear in the same area of the frame, or on objects having similar shapes and textures. For example, there’s a cracking good transition near the opening of Oscar-winning director James Cameron’s sci-fi blockbuster, Aliens. 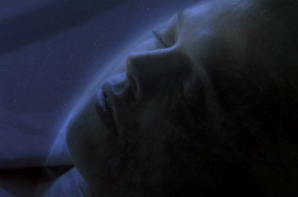 After a salvage team discovers an escape pod, they find Ripley, played by Sigourney Weaver, the only survivor from the first Alien movie, sleeping peacefully in her suspended animation pod. 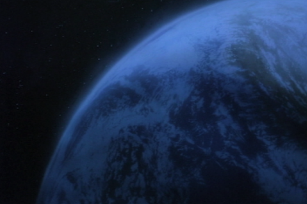 The scene ends on a close-up of Ripley and dissolves to an image of Earth. The editor, Terry Rawlings, links the two shots by matching the curve produced in Ripley’s face to the curve of Earth. Matching two similarly shaped objects from one shot to another is a way to create a bridge between scenes. The dissolve also smooths out the edit, and indicates the passage of time and a change of venue. Thus, the audience is transported across time and space instantly, advancing to the next significant scene. A bad edit can be unsettling to watch. For example, when the editor assembles two shots that were taken from basically the same angle, the viewer will see what amounts to a 'jump cut' -- the subject appears to shift ever so slightly within the frame between the two shots. Because a jump cut appears jarring, it draws unnecessary attention to the editing. As a result, the audiences loses their suspension of disbelief, which is their willingness to overlook the fact that they're watching a production and accept the story for entertainment's sake. Once the edit gets made it should go largely unnoticed by the audience. Of course, for the sake of artistic expression, editing rules are meant to be broken. A jump cut may be used deliberately as a way to compress time, or to show the passage of time. But a jump cut should be clearly understood by the audience as intentional. One jump cut may look like a mistake, two jump cuts appear as a coincidence, but three jump cuts indicate a patter. As human beings we are notorious pattern seekers and it gives us much pleasure to decipher meaning in the patterns. Therefore, audiences are tolerant of jump cuts only when they recognise it as part of a pattern.